The Chute-A-Phone: Want to throw your phone out the window? Please don't make me put a disclaimer here that throwing your phone out the window might break your phone. Please. So I was thinking the other day that it would be fun to have a GoPro or similar, to film some first-person footage of me messing around in the tree and treehouse — so people would have a better idea of what it’s really like up there. But those cameras are expensive, so I was looking for ways to strap my old iPhone to my head and do it on the cheap. People do it, but the results are less than optimal — plus there’s a good chance of dropping the phone, and when you’re 30-35 feet in the air, that’s all she wrote. I'm in no position to buy a new phone at the moment, frankly. This started me thinking about how to protect the phone from a high fall. Which led me to thinking about putting a parachute on the phone. Which made me think, now that would be fun video to watch! This is what spawned the Chute-A-Phone, possibly the most stupid name for something in history. But it seems to have stuck, so, I apologize. 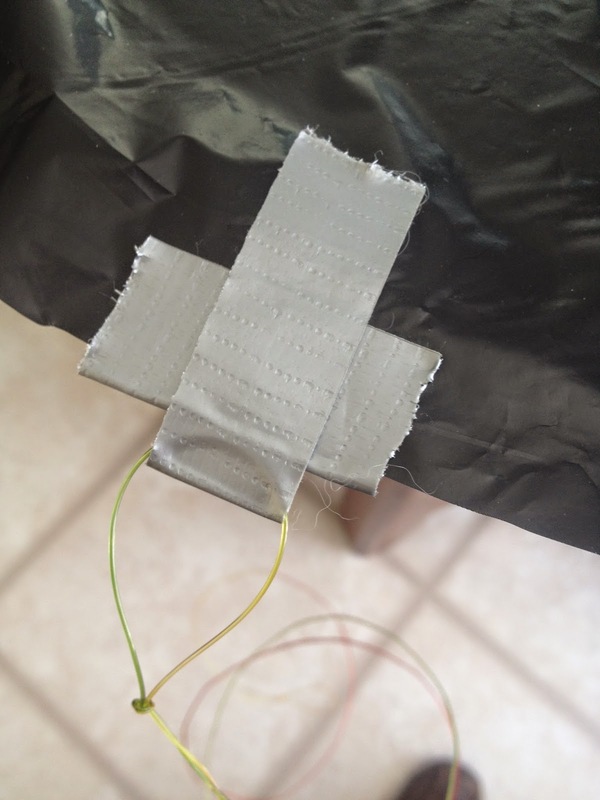 This project is so easy, so inexpensive, I expect my readers to build it and start tossing phones off of things right away. I mean, don’t break any laws or anything. But there’s no excuse not to build one right now and shoot some fun video. 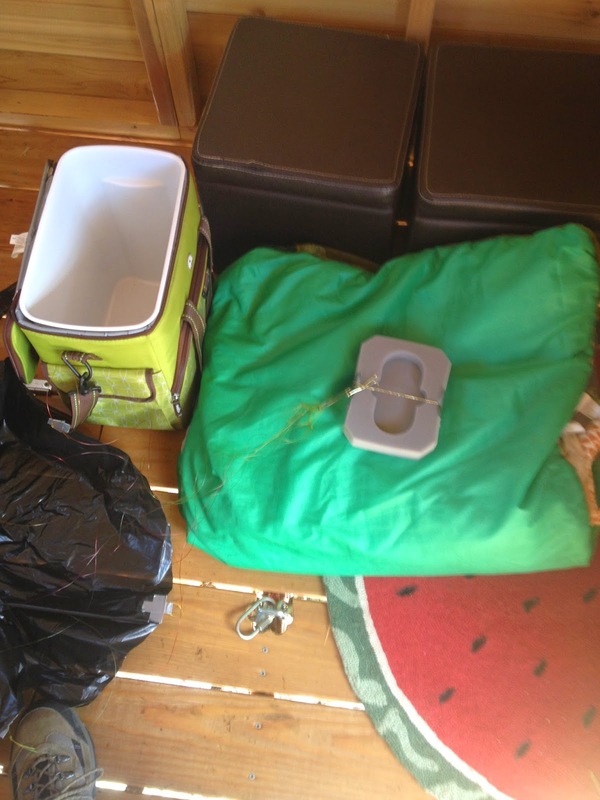 You’ll need a large trash bag, and if you’re lucky you have a big round table to lay it out on. 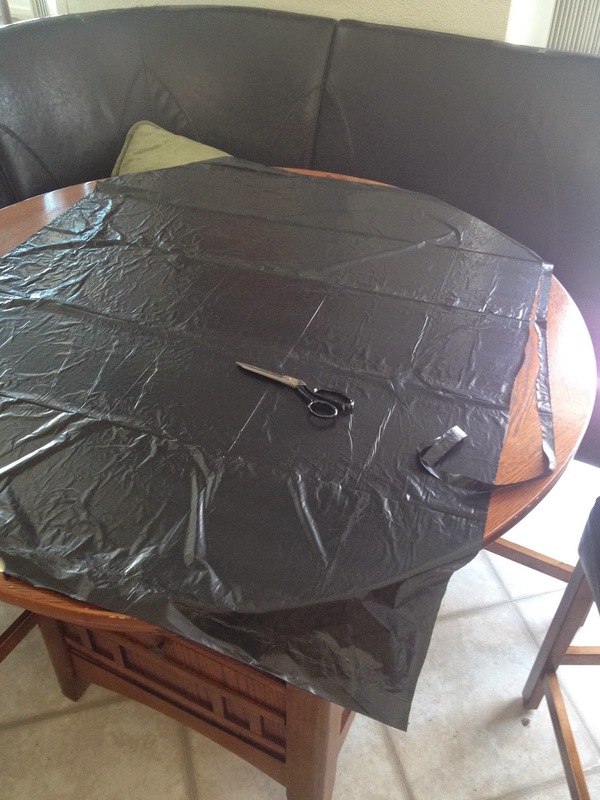 Start by trimming off the bottom edge and one of the side seals. This will allow you to open it up like a book. Spread it out nice and flat; don’t worry if it doesn’t quite reach the edge of the table, it’s close enough. 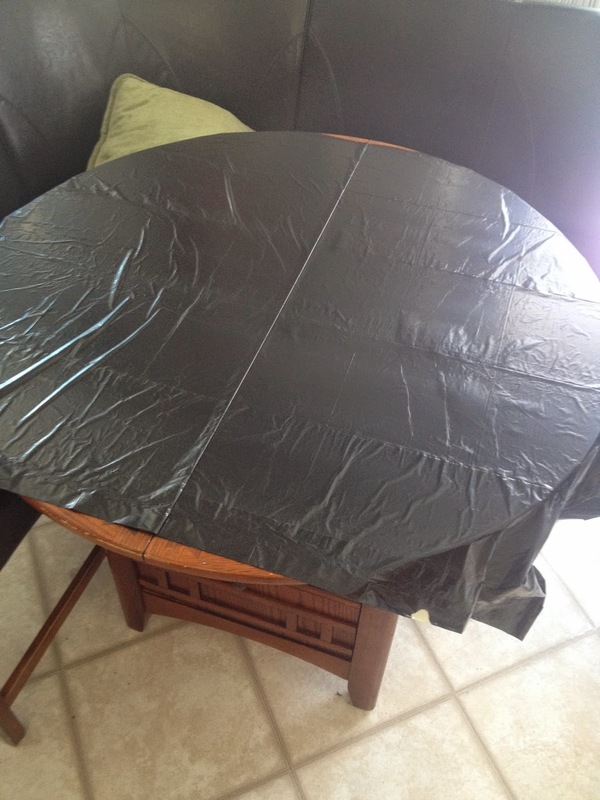 Cut around the table to make a big plastic circle. 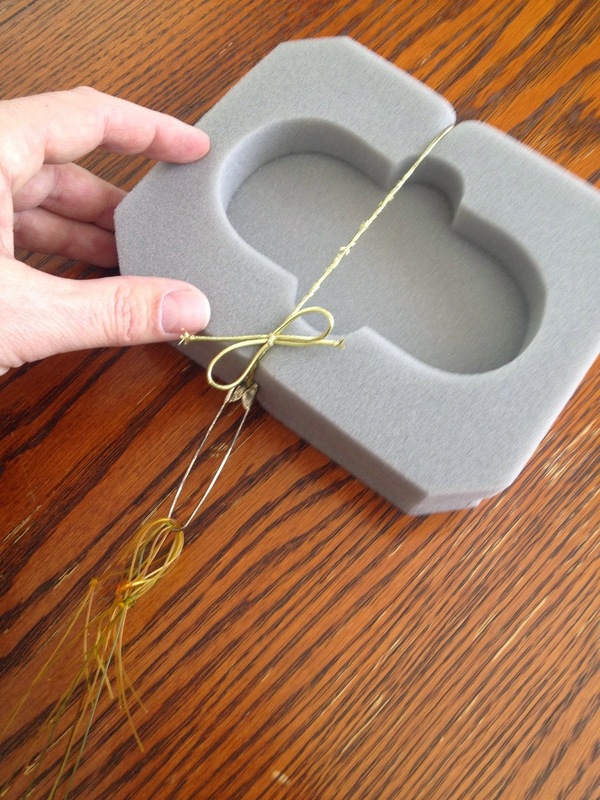 Take some fishing line (or other lightweight string, about anything will work) and cut 8 lengths that are the same as the table’s diameter. Tie loops on both ends of each one. 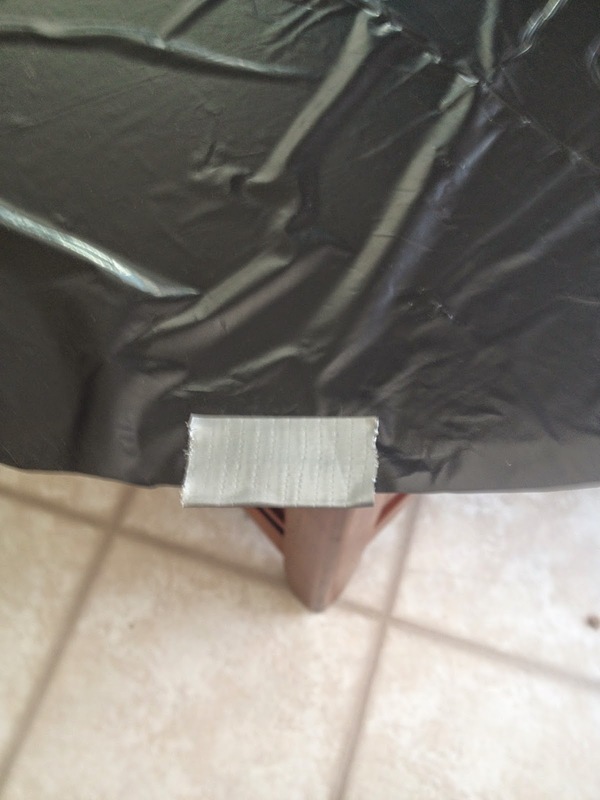 Tear off a square of duct tape, and fold it in half over the edge of the circle. Do this eight times all the way around, spacing them evenly. 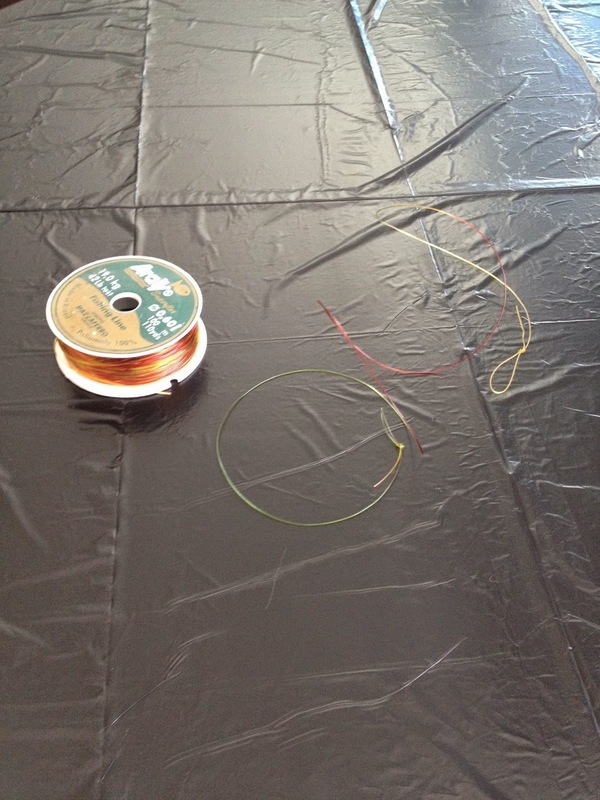 Tear another strip of duct tape and again, fold it in half over the edge of the circle — but this time, slip one end of a fishing line loop inside. Repeat until you have all 8 of them attached. Hook the other end of the lines onto a safety pin. 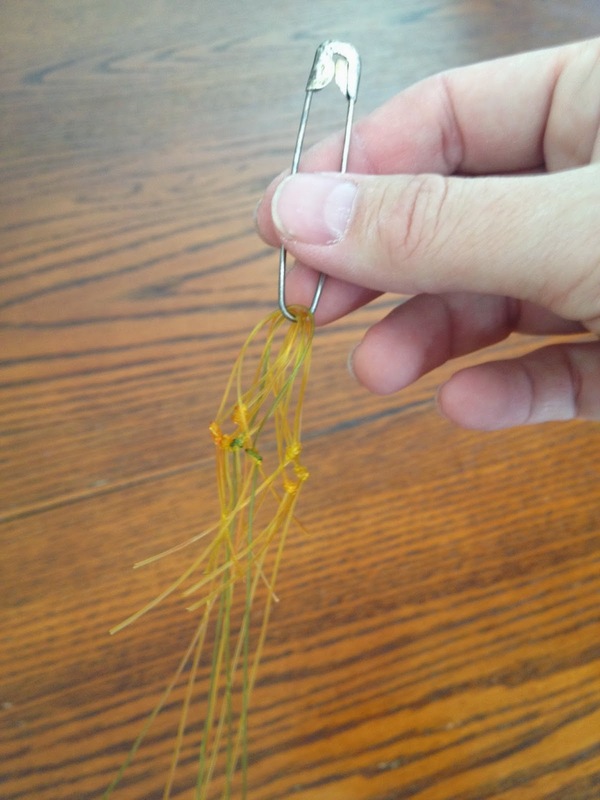 Close the safety pin before you forget, set it down, and get a big mess of knotted fishing line. Speaking from experience here. 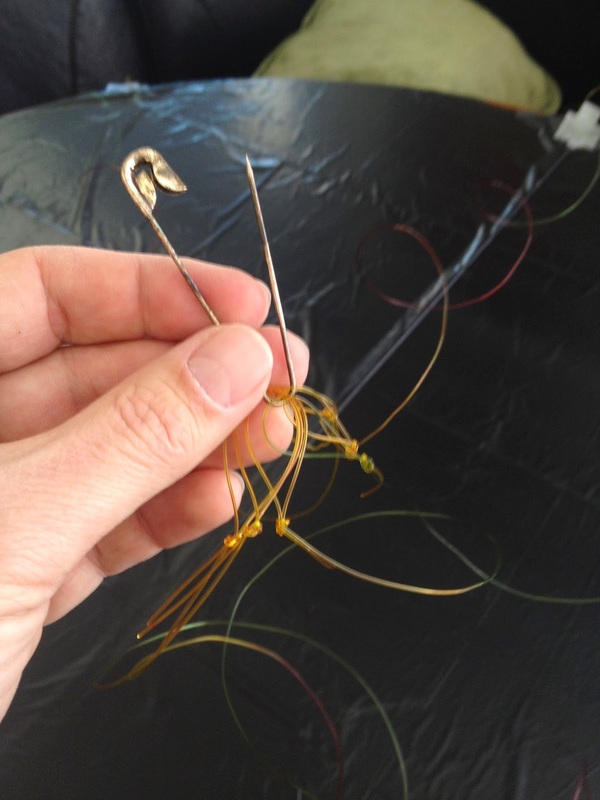 Now when you lift up the safety pin end, you’ve got a parachute hanging from the other. Next you need some rubber foam, preferably a block of some kind that’s got enough space for at least an inch or two all the way around the cavity you’ll be sticking your phone into. I had this from a box a remote came in, and it took just a little fiddling to jam my phone in there. I attached the safety pin with stretchy string, but you can use a rubber band as well, as long as it doesn’t compress your foam too much. Jam your phone in there. Now, mine happens to be in an old Lifeproof case as well, so that helps. But really, if you’ve got no good case, use more foam. Get it in there tightly, and feel free to use additional rubber bands to keep it in there. Remember you'll start recording, then put your phone in, so plan ahead. 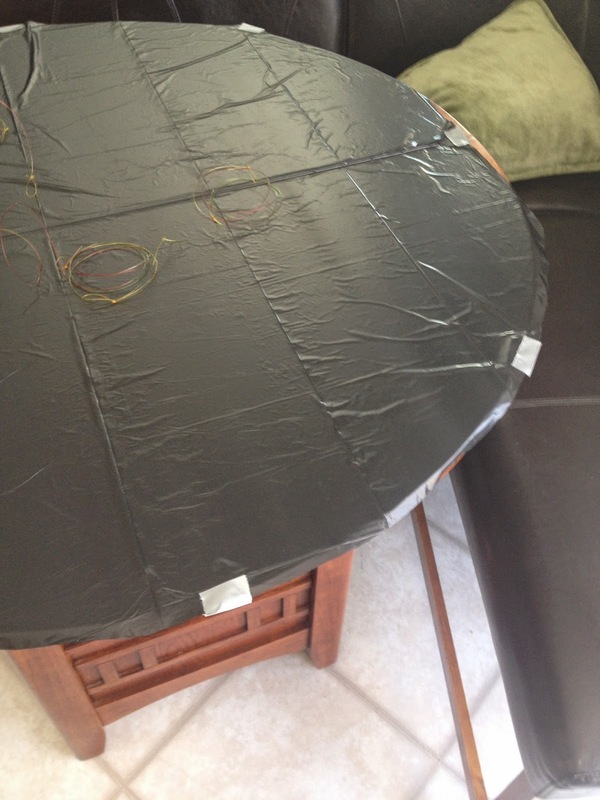 Set it up so it will hang horizontally (no vertical video!) and not fly out when it lands, more or less gently, on the ground. Now your Chute-A-Phone is ready to capture some stunning footage. Miniature BASE jumping! I took mine up into the treehouse, got it ready, and sent it on its maiden voyage. I’m guessing it was about a 35-foot fall. Again, this is the same terrible footage I posted the other day (feel free to skip the long wait for me to climb down the treehouse ladder at the end of the first one), but bear in mind I only did it once, and I’ve not had a chance to Chute-A-Phone off other stuff yet — mostly because of this winter snowstorm business. 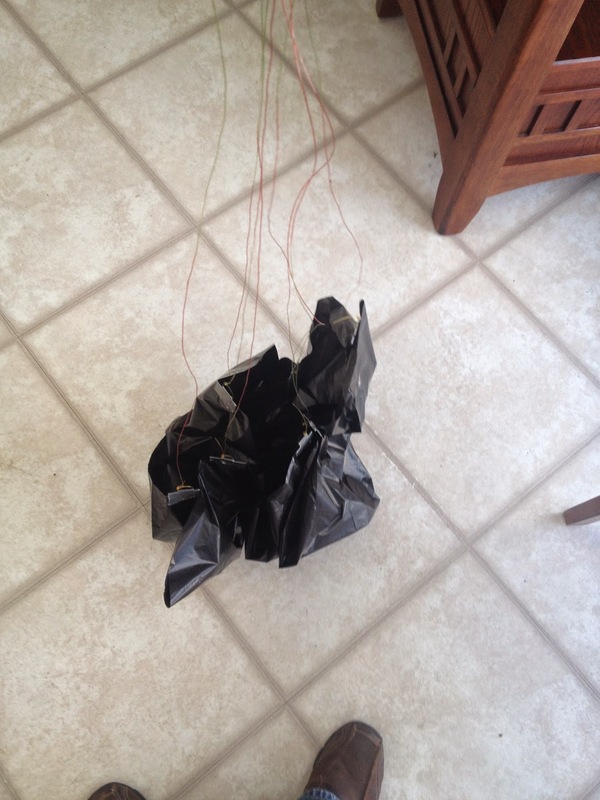 But that gives everyone plenty of time to make their own versions of the Chute-A-Phone. So get on it, friends!